If you’re a digital marketer, you know it can be a challenge sometimes to convince business owners that a web-centric marketing strategy is the only way forward. Believe it or not, many businesses are still “dipping their toes” in digital. Their strategy is to randomly try tactics- which is no strategy at all. We talk to hundreds of local business owners every year and find that many people already know – and are getting increasingly frustrated – that traditional outbound marketing and advertising tactics don’t work like they used to. In the “old days”, when a business needed more leads and clients, they would buy Yellow Pages ads, do some print advertising, go to a trade show, or do some television or radio advertising, and these marketing activities would yield a predictable amount of new sales. TRUTH BOMB: Traditional marketing and advertising can still be very effective in creating demand, but if your company does not have an effective web presence, then it can’t capture this demand as it filters back through the Internet. You see, NOBODY makes a phone call directly from a television ad anymore! They don’t go from the TV to a phone call…they go from the TV to the Internet to a phone call. And if you don’t have a solid web strategy, all of your random marketing and advertising drives business into the arms of your competitors – the ones that have a great website, social media and online reputation….and are taking digital marketing seriously. I am not classically trained as a web designer, web developer or even as an SEO consultant. I have a degree in Finance and an MBA. I came into digital marketing as an outsider and self-taught my way into this industry. But I believe my roots in business and finance give me a unique perspective, and I still like to look at digital marketing from outside-the-box for insight. I’m also always looking for ways to explain SEO, web design and digital marketing in a way that business owners will understand. At some point, all businesses will “get it” because inbound marketing is the only way forward. In recent weeks, we’ve been showing business owners something that really puts the new rules of marketing into perspective. In fact, it’s pretty mind blowing. If you have any question where you should be spending your marketing dollars, the above list of the world’s most valuable companies should remove all doubt. How Does This Information Apply to Digital Marketing? 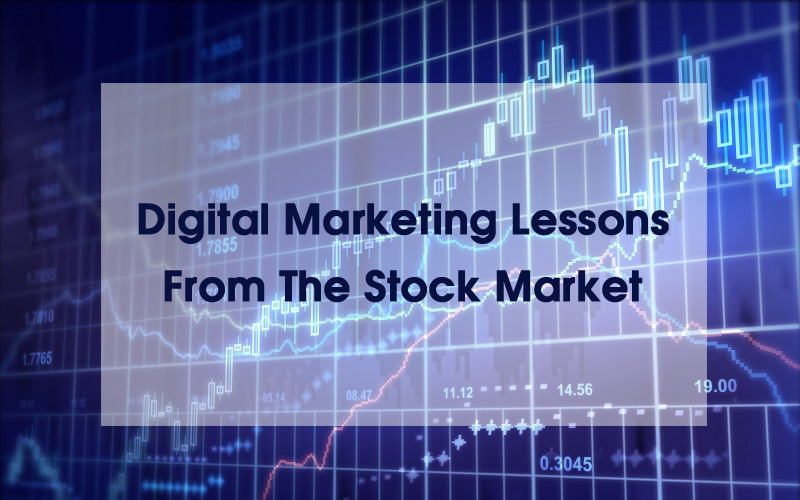 As a web designer and search engine optimization consultant, I believe the stock market is screaming at old school marketing hold-outs. If this information doesn’t make the light bulb go off, and compel your company to commit to a long term digital marketing strategy, I’m not sure what will. Apple represents your website. This company manufactures the devices and provides the operating systems that enable businesses and consumers to view website content. The only way to get to consumers that use Apple devices is through the Internet. If you don’t have a professional website or don’t have a website presence that can be easily found through the Internet, then you have no way to reach the consumers that have made Apple the world’s most valuable company. Google, or Alphabet as the parent company is now called, represents your content. A website cannot be found unless there is substantial optimized content on a optimized website. And these days, Google is digging deeper into your online presence and looks for information around the Internet to determine if your business is trustworthy and credible. Google is a monopoly and is part of the modern day process. If you don’t have a Google strategy, you will lose market share over time. Similar to Apple, Microsoft also represents your website as this company provides the devices and operating systems that consumers use to access website content on computers and mobile phones. Apple’s, Google’s and Microsoft’s market caps should be the ultimate wake-up call and all the proof you need to stop thinking of your website as a static brochure, and start thinking of it as a marketing platform – and the linchpin to a successful marketing strategy. Amazon represents many aspects of the modern purchase process. For many business, Amazon represents your eCommerce strategy, because giving people an easy way to buy your products and services online is becoming mandatory. But the most important lesson (in the context of this blog post) is your online reputation. We all buy from Amazon and we all research customer reviews before making a purchase decision. Pound for pound, online reviews from Yelp, Google, Amazon, Facebook (and so on) are the most important component of any digital marketing strategy. Facebook represents your social media presence. Facebook, and the other major social networks, is where people hang out. Social media is where people find out about new places, products and services. Further, having an active social media presence makes your business more trustworthy and provides consumers with a level of social proof they need to make a purchase decision. We are still very much in the golden age of inbound marketing. In 2016, an astonishing half of small businesses did not have a website. The majority of business that do have websites have “digital brochure” websites that do not have an integrated approached to digital marketing. On the other hand, there is a growing group of small business owners that have embraced SEO and inbound marketing, and they are crushing it. There is still time to catch this wave and great place to start is with a new website, or fixing the website you have.